I almost forgot to photograph DS yesterday as he became 29 months old – too much other stuff going on!! 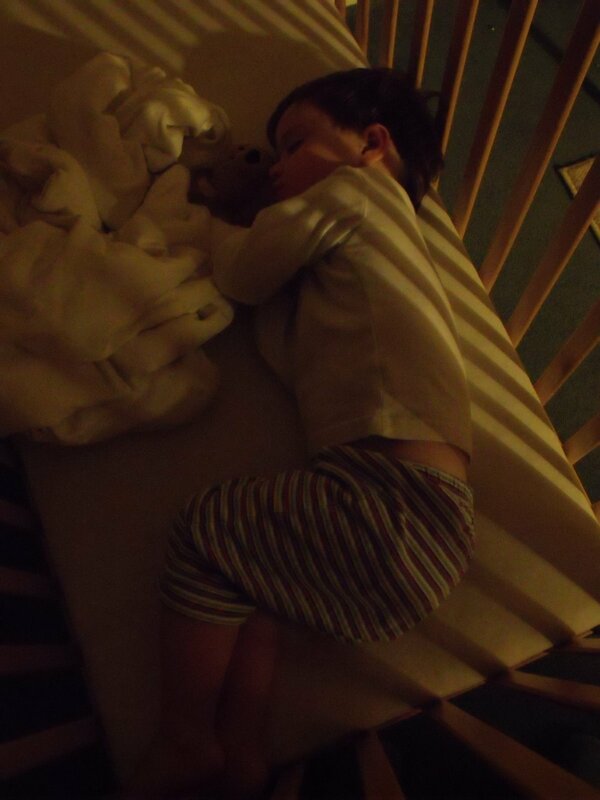 I remembered before going to bed so here he is at 10.30pm last night. Not that great an image but the best I could do! Will be thinking of the little man in his new bed!